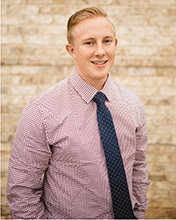 Jace Olsen began interning with Pinnacle Accountancy Group in January of 2018. He is currently attending Utah State University working towards his Bachelor of Arts degree in Accounting with a minor in French. He plans on furthering his education and pursue a Master’s Degree in Accounting and plans to be a CPA. At Utah State Jace has played 2 years of club baseball, making it to the NCBA World Series in one of the seasons. Jace enjoys spending time with his wife, watching sports, and playing golf whenever he has time.